There’s nothing less Christmassy than thinking about how to scrimp on gifts. The idea of slashing the cost of pressies is more likely to conjure up images of Scrooge than give you a jolly festive glow. But it needn’t be this way. With a little planning and some clever shopping, you can challenge Santa for the top spot come December 25th with our Christmas gift guide for the whole family. 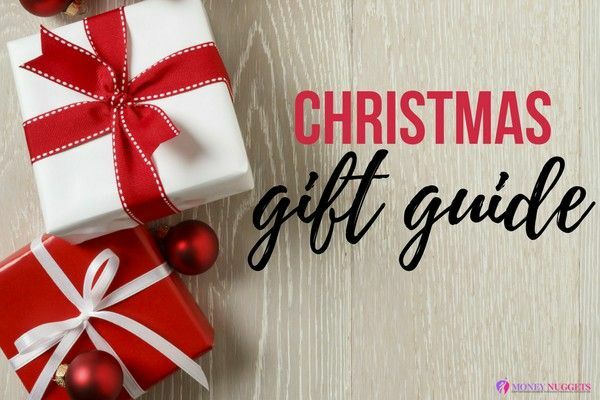 If you like to impress with your gifts, you will want to splash out on personal pressies for your loved ones rather than shoving a voucher their way (which tells them exactly how much you spent and is actually harder to spend than actual cash). But those thoughtful gifts can really rack up the cost of Christmas. Don’t worry, the Money Nuggets elves have been working around the clock to find innovative and thoughtful gifts for each family member, all for less than £50 each. We haven’t included gifts for kids in this list – that’s for Santa to sort out (!). Remember, a debt can be for life, not just for Christmas! After all, it’s the thought that counts…. If you have bought your lovely mum gardening vouchers or a new apron for the last ten years, now is the time to surprise her with something different. Take your mum and her friend back to the 80s with tickets to see Grease, The Musical, currently touring. Mid-week tickets are loads cheaper than weekend shows and cost between £19 and £45 and you can book here. 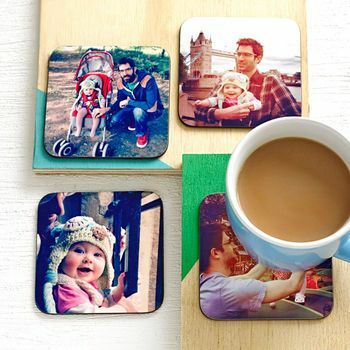 Or if your mum is the tidy type, how about a set of Photo Coasters (£15) so she can think of you and yours every time she puts her mug down! Step away from that M&S socks webpage right now! 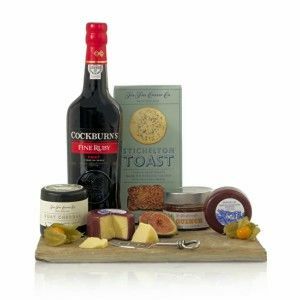 If your dad loves his food and booze, combine the two with this luxury Port and Cheese hamper for £34. That stinky cheese and bottle of fuzzy goodness will keep him going until New Year at least. Or for the tech savvy dad, give him this Men’s Charging Valet (£48) to keep his gadgets tidy and fully charged. Let’s be honest, hat, glove and scarf sets are all very useful but are as dull as they are itchy so why not show your other half your wild side? 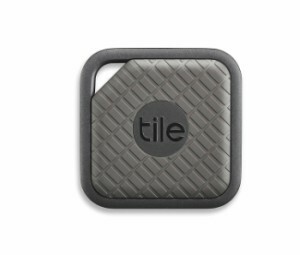 Alternatively, if your man is always asking you where his stuff is; the must-have gift for 2017 is a Tile Sport Anything Finder at £29.99. Powered by Bluetooth, he’ll be able to find everything he needs without ever having to ask you again where he left his keys, phone and wallet. Any men reading this, take it from us: she doesn’t want another set of uncomfortable polyester ‘lingerie’ from Ann Summers in a size too big/small. There’s only one thing that every woman on earth wants: relaxing time to herself. OK, it’s an obvious one but: take the kids and pack her off to a Luxury Pamper Day with Virgin Experience or Spa Breaks from £45. 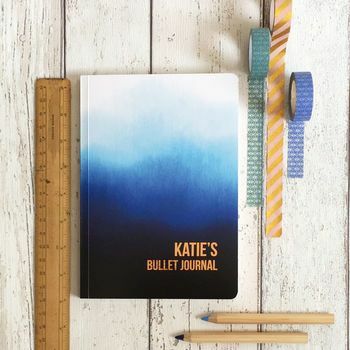 Or how about this Personalised Bullet Journal (£14) to help her organise the 800 things she has to do every day. Word to the wise, unless specifically asked for, avoid kitchen appliances and cook books like the plague! If you have sisters, you might have fallen into the boring swapping-of-Boots-vouchers habit in recent years. Which then get lost among the thousands of loyalty cards we all carry with us until they expire. Tip: Buy your sister something she wouldn’t normally fork out for herself. 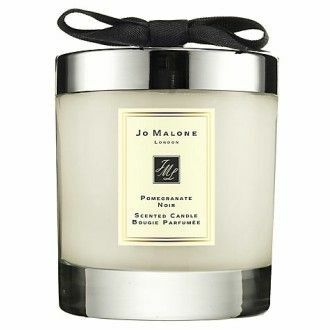 This is great for sisters who travel, particularly in the winter – and no spillages: Luxury Travel Mug (£17.97) Or for a sister who simply needs to chill out more, buy her a Jo Malone Candle (£45). Your brother may have pulled your hair and put spiders in your cornflakes when you were kids but they still deserve a bit of thought at Christmas. 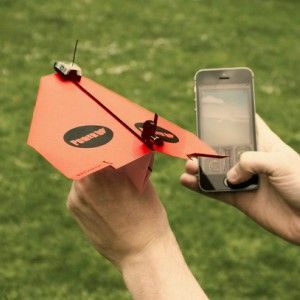 Take him back to childhood with this Smartphone Controlled Paper Aeroplane. Then just sit back and watch while he spends all of Christmas Day playing with the younger relatives in the back garden, leaving you time to enjoy a Baileys in peace. How about a nice pair of fluffy slippers? Like the ones you got her last year, and the year before, and so on….Nope. Not even Usain Bolt goes through footwear as fast at that! Your dear old Granny will feel right at home with this. 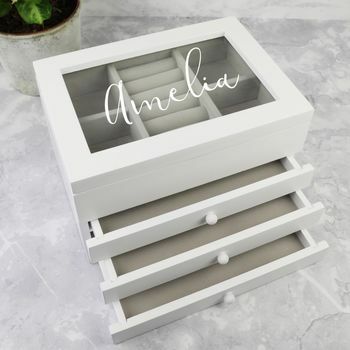 Surprise her with this Luxury Afternoon Tea for Two or if she has collected lots of precious items over the years, get her this beautiful Personalised Wooden Jewellery Box. You’ll still have cash left over to buy her a few a packs of these handy pocket warmers Hothands Hand Warmers for £3.99 to keep her cosy on winter walks. If your lovely Grandad is partial to a superior tipple at Christmas, let him think of you while he’s supping with this Personalised Vintage Whisky Glass. At only £8.99 you could also get him a nice bottle of Scotch to go with it! 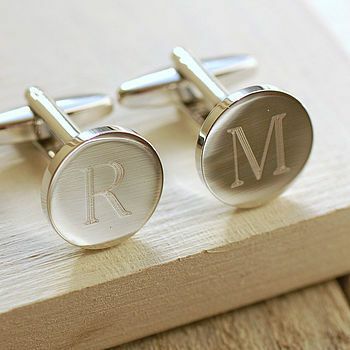 Or if he is the dapper type who’s always in a shirt and tie, give him these gorgeous Round Initial Cufflinks (£22) to complete his outfit. Your bezzie is like a part of your family, with bells on. They’re there for you when you need a shoulder to cry on and when you stumble home from a girl’s night out. So, your BFF deserves a lot of thought. 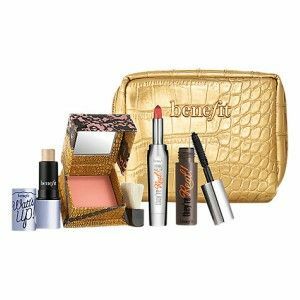 Why not surprise her with this lovely Benefit Beauty Set so she looks hot to trot on your nights out. 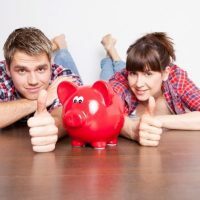 Or spend some quality time and book a lunch out for two at her favourite restaurant, there are thousands of restaurant discounts to be had at Money Saving Expert. They’ve nurtured your little horrors all year, so buy something more thoughtful than the usual chocs and wine. You don’t have to spend much, but teachers secretly love the thoughtful gifts. 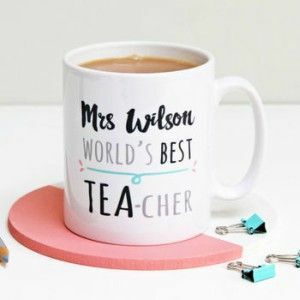 Get your child to write a lovely thank you card or letter and accompany it with a Personalised Mug (£15) or comedy Wine Glass if she/he is looking more harried than usual towards the end of term…..
Add your list to our Christmas gift guide, we’d love to hear your fantastic gift ideas! Share with us in the comment box below!